The deformity sounded so "medical" to me that it compelled me to read a few articles about it in order to understand what it is. I began reading about it not because I was merely interested, but because there was a necessity for it. 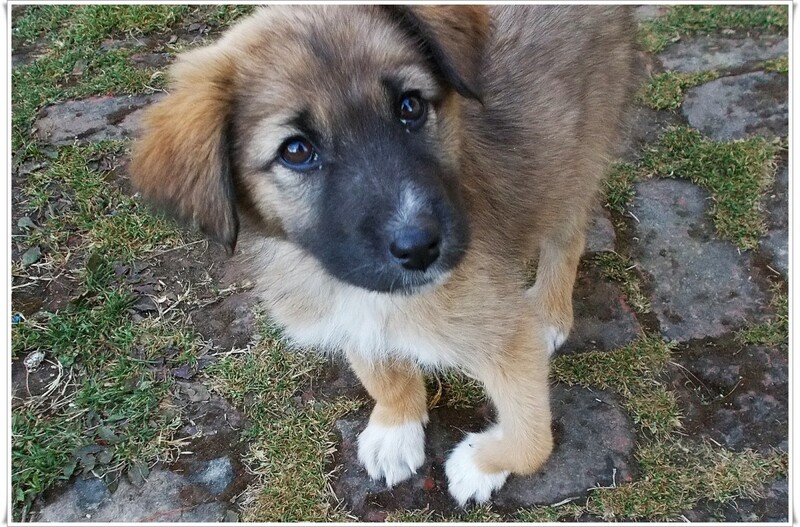 Perci, a rescued puppy who now lives with us, suffered from a flexural deformity of the carpal — or wrist, in layman's terms. What Exactly Is Carpal Flexural Deformity? The condition is also referred to as knuckling over, carpal hyperextension, carpal hyperflexion, or, most recently, carpal laxity syndrome. It is first noticed in the front leg's growth plate (wrist or carpal area). The condition occurs when the dog's front-end assembly (the part of the body which bears weight) is unable to support the puppy's whole body weight due to a lack of integrity in the muscle, tendon, and ligaments. In the picture below, you can see that Perci's left leg is bent. So instead of walking on her toes, she walks on her wrist to support her weight. Because bending her left leg decreases the height on her left side, her right wrist is also slowly decreasing in height, resulting in a plantigrade stance that levels with the height of the left leg. As you can see in the picture, her wrist is touching the ground which makes it looked extended. 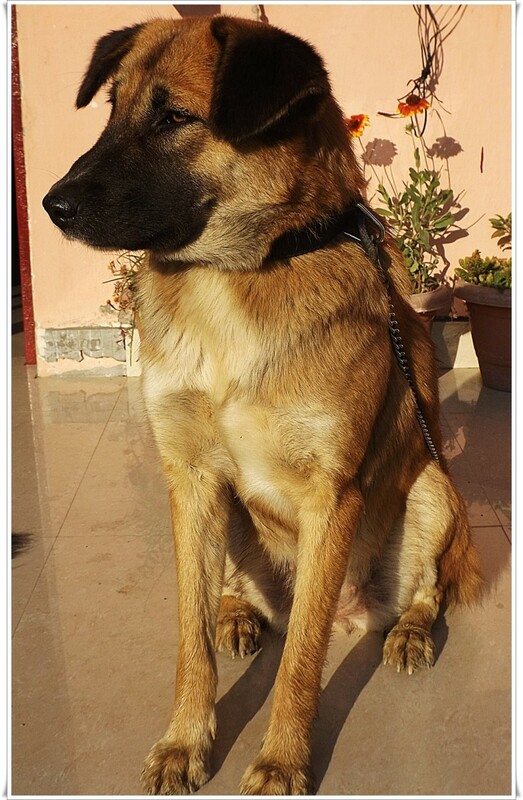 Perci, a Bakharwal variety, I believe, was a puppy dropped by a heartless person at the primary hospital, Khirsu, where my husband worked as a medical officer. I call the person heartless because he or she did not think about the consequences of the act. What he or she did almost took Perci's life. 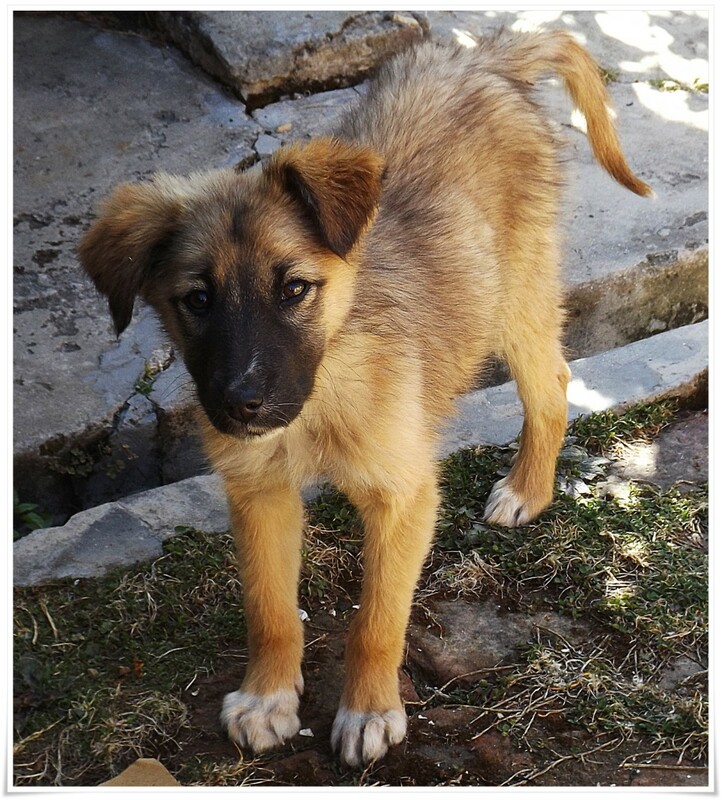 You can read her story in my Blogger entitled, "The Abandoned Puppy: Perci's Tale." Perci developed this deformity around two weeks after she was rescued. It was a problem we couldn't find an answer to. No one around knew what was happening with her leg. At first, we thought she had a foot infection and that she would just get over it in a couple of days, but it got worse. While she walked, it looked like her left leg was scooping something out of the ground and then the right leg would flatten and expand. So instead of walking on her toes, she was walking on her wrists to balance the 'bowing' left leg. You can see the expansion in her right leg in the picture below. So, we turned to 'Dr. Google' to find some answers and it was really tough. First, we tried a few words and phrases describing her leg. We tried "bent leg on puppies," and "common problems in puppies," among other phrases. We also found and watched a few videos on Youtube until we were finally able to find some articles that were helpful. Some articles said that the puppy would overcome it, which we also thought at first. Some suggested splinting or casting, which was a problem for us because the splints we saw on the internet were not available around our area (a remote little town in India). Online buying? Well, it was an option to consider, but a last resort. So, the DIY girl in me took over and I made her a homemade cast/splint! As with anything new and unusual attached to her body, Perci tried to chew the taped splints and managed to rip them off twice. Here's how to make a simple and doable homemade splint. Look for two thin pieces of wood that can be scraped and flattened. They should be long enough to cover the entire length of your puppy's leg. A tape measure may be used to make sure that the piece is wide enough to cover the back of the leg, but not too short or too long. I suggest that both legs be splinted. Because we didn't have appropriate tools available, I chopped and scraped the pieces of wood using a small but sharp kitchen knife, concentrating on the edges. They should not be sharp so that the puppy can move around painlessly. When the pieces are ready, each must be cushioned with cotton thick enough to serve as a pad. This way it will be comfortable. Then, tape the entire piece with surgical tape so that the cotton stays in place. Fitting the splint may require two people: one to hold the puppy and the other to attach the splint. Once the splint is positioned at the back of the leg, wrap the splint and leg together using a gauze. Begin wrapping from the wrist up until you are satisfied with it. Make sure that it is neither too tight nor too loose. Too tight and the puppy will definitely tear it because it will be very uncomfortable for him/her. Too loose and it will come off. When you are nearing the end of the gauze, leave two inches and tear it in half vertically. Take the two halves and tie together. Finally, tape the ends with surgical tape. If it is taped, it will be a little more difficult for the puppy to tear it. Cut any loose ends. The deformity is common in medium to large dog breeds. It generally manifests in puppies who were separated from their mothers earlier than they should have been and fed on cow's milk. It is thought to be caused by too much protein in the diet. It is also thought to be caused by walking on smooth surfaces most of the time. 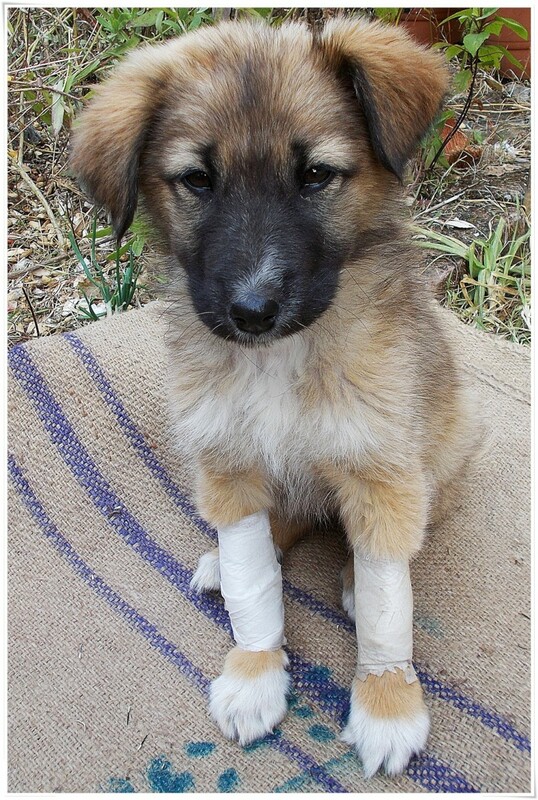 The age of the puppies affected by this deformity ranges between 6-24 weeks. The deformity occurs most frequently in the 6-8 week period. 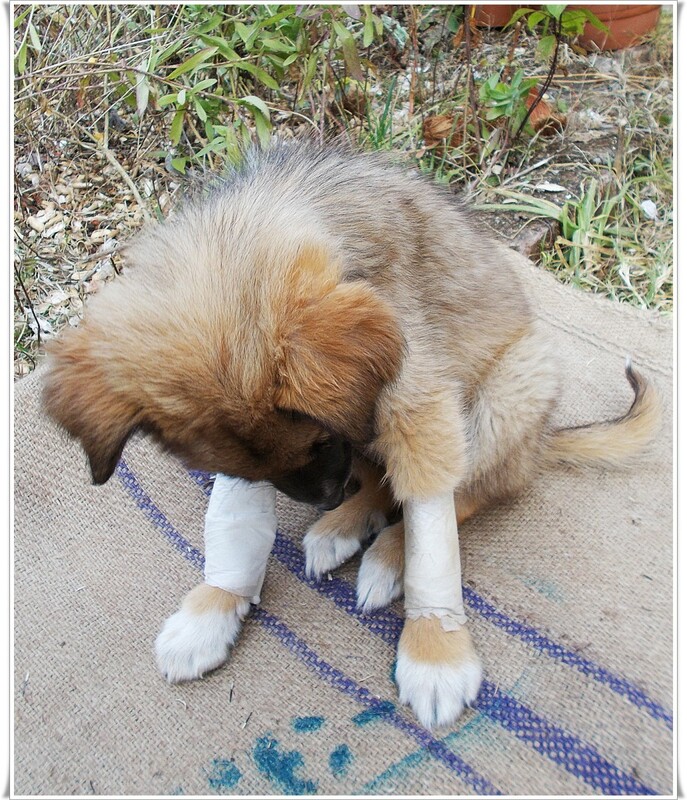 In some cases, many puppies overcome the deformity without intervention. But, some people say that splinting or casting helps get the leg back to normal. Some even suggest consulting a vet because there were cases in which no intervention led to a lifelong deformity. 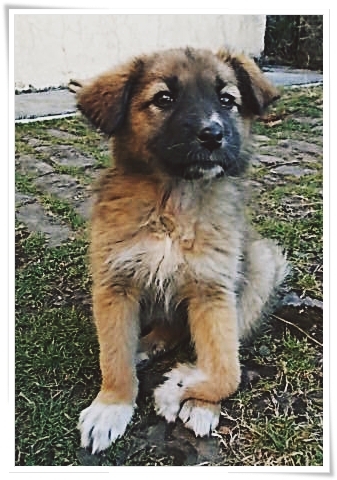 Based on my personal experience with two puppies (after Perci, another rescued puppy suffered the same), here are a few suggestions that might help you. 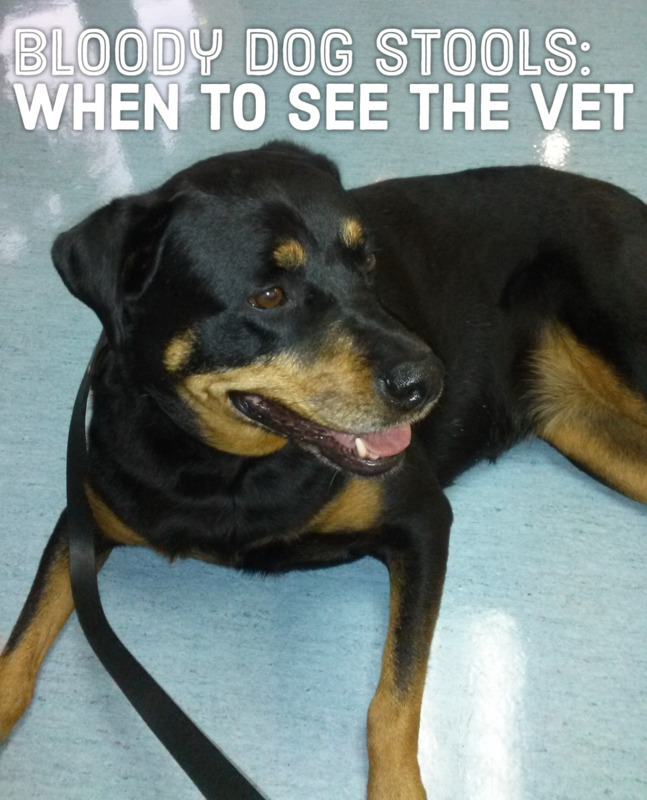 When you notice a slight bent on your puppy's leg, and she/he is a medium to large breed dog, don't panic. Perci's hyperextension was fixed after two nights and a day with the splints on. Immediately stop giving meat or milk. Dogs can thrive on plant-based protein sources. Protein in the diet is good for puppies and adult dogs (and even humans), but too much of it can be dangerous. To avoid this condition, never take puppies in if they are still not weaned. Cow's milk is not really necessary. In Perci's case, after we stopped giving her egg, we concentrated on giving her cashew milk, along with other natural foods such as banana, tomato, apples, and grapes. I also made a fruit and seed gruel which included two to three varieties of fruits and flax seeds mixed with cashew or peanut milk. 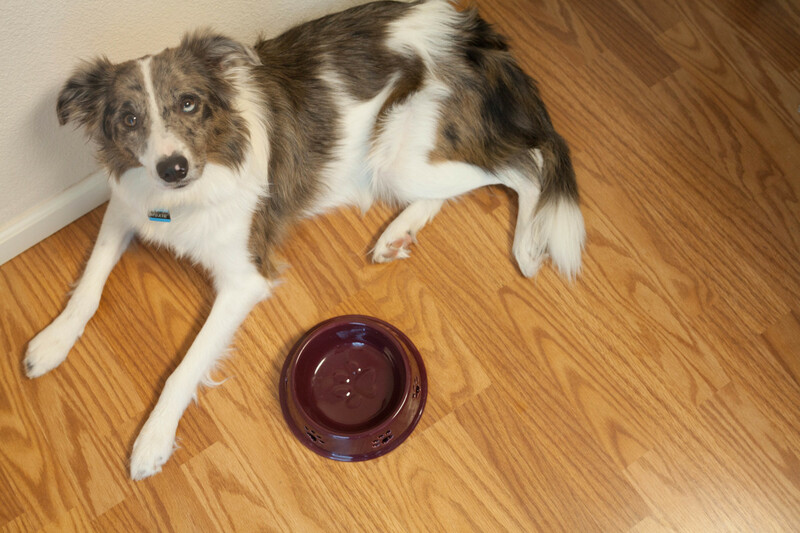 If your floor surface is smooth, provide a rough mattress so puppies can use it for stretching. Allow the puppies to walk outside on natural surfaces as much as possible. Take them to a park or a place where there is enough earth for them to dig or run. This allows them to use their leg muscles properly. Try to put the splint on in the afternoon or just before they go to sleep so that their mind won't be on it. When splints are on, the most effective way to divert their attention is to take them for a walk. While at home, a little more attention is required to keep them from chewing the tape or gauze. It is important that we care for companion animals like dogs because they are family. The world outside is sometimes unsafe for them. For example, our neighbors are either afraid or indifferent towards dogs. Some immediately grab a rock when they see a dog heading towards them with the intention of throwing the rock to get rid of the dog. There is still a long road ahead until we reach a point when animals can roam free in an animal-friendly community. This is my first time actually taking care of dogs. First timers need to learn a lot, and with no one around to ask for help, Google is always there to provide answers from people who have taken the time to write and share their experiences. Although deformities such as this can be easily fixed, knowledge is still crucial in helping us, dogs' two-legged companions, deal with such circumstances. This article is my way of helping others by imparting knowledge based on my own personal experience. Do/Did you have the same experience with your dog? Splinted/casted it using a DIY cast/splint. Consulted a vet and got the leg/s casted. Let it resolve on its own. Our rescue dog is about a year old, and their paw extends forward. We have been quoted $8,000 to fix it surgically. Do you have any other suggestions? You can try the method I mention in the article. One-year-old dogs have years to grow so casting both legs will most likely solve the problem. Try it for three to five consecutive days and nights and remove them in between so you don't overburden the dog with the cast. Try again if you must. Grapes are toxic for dogs. Though dogs can survive on plant based diets they don't tend to thrive on them. This condition is also known as knuckling. Great article. Thank you for your article! It was very informative. We already got the DIY splint on our puppy. Hoping it works!